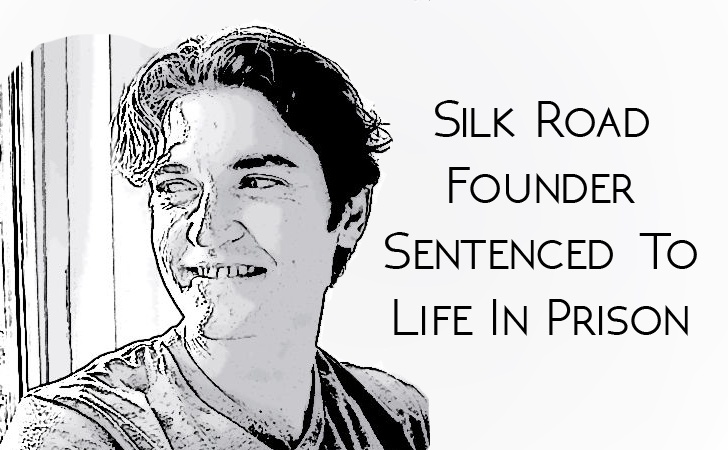 Ross Ulbricht, the alleged founder and mastermind of the infamous online black marketplace Silk Road, has been sentenced to life in prison after being found guilty of narcotics conspiracy, money laundering and other criminal charges. This means the 31-year-old San Francisco man will die behind bars. With all the seven charges stemming from the creation and operation of the once the Internet's largest online illegal-drug marketplace, Ulbricht was facing 20 years at a minimum sentence, but making life in prison is the harshest possible sentence. The sentence was made by Judge Katherine B. Forrest in a Federal District Court in Manhattan, though Forrest admitted it was a "very, very difficult" call to make, leaving Ulbricht without any hope of parole. Operating online as "Dread Pirate Roberts," Ulbricht ran the $1.2 billion Empire from the year 2011 to 2013, armed just with a laptop and a Wi-Fi connection. Ulbricht pleaded for leniency in his sentence during the court hearing, but that didn't work out. "I wish I could go back and convince myself to take a different path," Ulbricht said. "If given the chance, I would never break the law again." However, US District Judge described Silk Road as "an assault on the public health of our communities," and said: "Silk Road's creation showed that you thought you were better than the law." Before sentencing, Ulbricht reportedly spoke to the court for 20 minutes, pleading Judge Forrest to spare him a life sentence and asking her to please leave him a "light at the end of the tunnel." In addition to running the notorious Silk Road, Ulbricht was also accused of hiring a hitman, who then turned out to be an FBI agent, in order to kill an employee he believed was stealing money from him. Ulbricht’s defense team has already said they will appeal his conviction.